October 11, 2013  After five decades of singing, Linda Thompson is still one of the best voices in folk music. 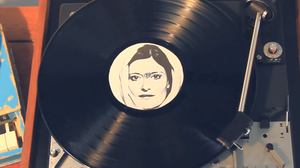 Watch a video premiere of her upcoming album's title track. October 22, 2013  The singer-songwriter's new album sounds like a collection of songs that could have been sung a hundred years ago, or written and recorded just a few weeks ago. She's joined on the album by her ex-husband, Richard Thompson, and their three children. 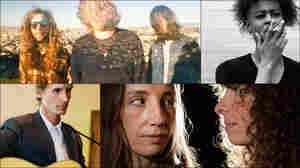 October 1, 2013  On this edition of All Songs Considered: Folk artists Richard and Linda Thompson are reunited, and garage rock revivalist Ty Segall is back with a new band called Fuzz. Plus rapper Danny Brown, Swedish electronic duo Jonsson & Alter, and more. October 1, 2000  Singer-songwriter Teddy Thompson may only have one CD to his name, but the Thompson name has been a major force in folk music since the 1960s. Teddy's father, Richard, formed the seminal folk rock band Fairport Convention, then later paired with Teddy's mother, Linda, to record six acclaimed albums. 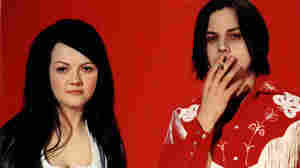 The pair divorced shortly after recording their last record, which eerily previewed the breakup. Teddy Thompson was just 7 at the time; he talks with Frank about his debut CD, the inspiration behind the music, and the effects of growing up in the English folk tradition. August 19, 2002  The return of folk rocker Linda Thompson; Remembering Sept. 11th with Steve Earle; Latin drummer Roberto Juan Rodriguez; Israel's answer to the Beatles: RockFour and more.